It’s time for engineers, fabricators and inspectors to recognize that how they interact on a construction project vis à vis nondestructive examination (NDE) of weldments, can affect overall confidence in service performance. Nondestructive examination specifically, magnetic particle (MPI), liquid penetrant (LPI), ultrasonic (UI) and radiographic (RI) inspection techniques cannot stand apart from design and quality construction; rather, it must be regarded as part of the process that aims for design and construction quality control. On every project, there are three key players: the engineer, the fabricator and the inspector. The engineer is primarily responsible for the design of a welded assembly and is the individual acting on behalf of the project client. He or she makes all decisions that modify the original design, approves changes proposed by the fabricator or accepts the inspector’s report on NDE results. The fabricator refers to the contracting company that performs the welded fabrication; this term may be used for either shop or site welding operations. The inspector is the individual responsible for supervision of NDE operations, and the one who will communicate with the fabricator and engineer about the results of the NDE. ing, if a weld is to be inspected only by unaided visual methods and is deemed acceptable, it would be just as sound if examined by a subsurface NDE method such as UI. The problem lies with the definition of integrity and a lack of understanding of not only NDE but also the economics and business of fabricating metal. techniques of NDE let us know the extent to which a weld has failed to achieve homogeneity with the base metal being connected or, more specifically, the degree to which the weld and base metal have failed to form a con-tinuous, uninterrupted mass, free of internal (e.g., porosity) and external (e.g., undercut) flaws. Although a “perfect” weld is ideal, it is not required in most circumstances to provide adequate service function. 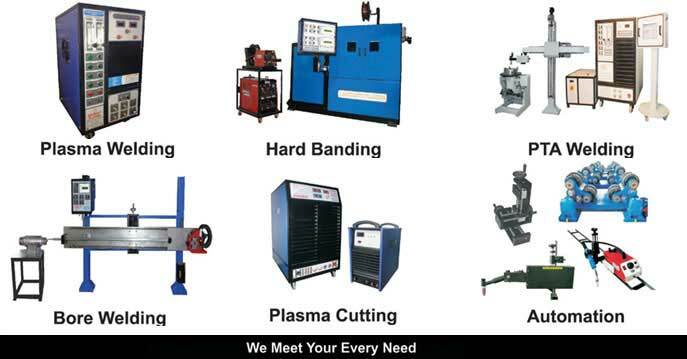 Welding specifications typically permit a variety of flaw types, sizes and frequencies. Some, such as porosity, have relatively little effect on loadresisting adequacy; others, such as incomplete fusion, can have a significant impact. The knowledgeable engineer, familiar with the fabrication business, will realize contract bid requirements will materially affect the way a fabricator tries to minimize these internal and external flaws. If welds are only to be inspected with surface inspection methods, whether unaided visual, MPI or LPI, fabricators will take the measures necessary to ensure the surface satisfies these visual or NDE acceptance criteria. This may include using experienced welders or small electrodes for the root and capping passes, as well as careful grinding and/or the use of GTAW toe remelting. Sometimes, the fill passes may not receive the same degree of cleaning, or less experienced welders may be used. This may simply be a case where the fabricator is making optimum use of time and available resources to comply with the weld quality standard involved. Employing qualified, or prequalified, weld procedures, in addition to using qualified welders on a job, will minimize the size and frequency of subsurface flaws. However, a method to investigate the internal volume of a weld may be needed to maintain confidence that major flaws have been avoided. If a subsurface quality standard needs to be determined, then the contract needs to call for a subsurface method, at least for critical connections or some randomly selected percentage of total welds. This will ensure the fabricator devotes special attention to these welds, employing the top welders and taking extra care in preparing joints prior to welding and cleaning the weld while in progress. Naturally, this extra level of precaution will cost more, but it will add confidence that the weldment has achieved the necessary degree of homogeneity. In the United States, there is a provision in the AWS D1.1 Structural Welding Code Steel stating if the client wants additional NDE other than the contracted visual inspection, then the client must absorb all of the subsequent costs, including the cost of repair for flaws that are outside the acceptance levels for subsurface NDE. This appears to be reasonable; after all, the client should have specified this NDE in the original bid documents, which would have allowed the fabricator to devote more stringent quality control standards to the welds in question. If these welds fail to live up to this new, higher standard, the fabricator can hardly be blamed. Realistically, neither the code nor the D1.1 Structural Welding Committee will ever attempt to define what is “an attempt to defraud” or “gross nonconformance,” but future imbroglios can be avoided if some percentage of random subsurface NDE is specified in the contract, just to keep the fabricator on his toes and to ensure extra care is devoted to critical joints. But engineers have to realize not all welds require the same level of attention in order to adequately perform their intended service function. Trying to make all welds achieve the highest quality standard only drives up the cost of fabrication. Hardy H. Campbell III (hardy@aws.org) is a Senior Staff Engineer at the American Welding Society, Miami, Fla. Complete or partial penetration groove welds in compression or shear. Complete or partial penetration groove welds in low static tension or fatigue loads and structures with low crit-icality and/or high redundancy. Complete or partial penetration groove welds in high static tension or fatigue loads and structures with high criticality and/or low redundancy. Recommended test frequency: Random testing for substan-tially less than the total weld length. Complete penetration groove welds in high static tension or fatigue loads and structures with high criticality and/or low redundancy. Complete penetration groove welds in low static ten-sion or fatigue and structures with high criticality with low redundancy and materials with low or unspecified toughness. Recommended test frequency: 100% manual inspection of welds or some random percentage for automated NDE. These weld or load types are not meant to be definitive, but serve to highlight typical industry practice. Notice that MPI or LPI would be applied to complete penetration groove welds, even if these would also justify UI or RI. This is because such welds, when subject to high tensile loads in critical applications, would need to be checked for potential crack starters on the surface, which UI in particular can have trouble detecting. mentation systems such as ISO 9001 and its myriad variants may offer some security in this regard, but engineers should be wary of relying exclusively on paper empires. It is the actual implementation of written quality systems that determines effectiveness and, for this reason, third party inspection teams are frequently used. 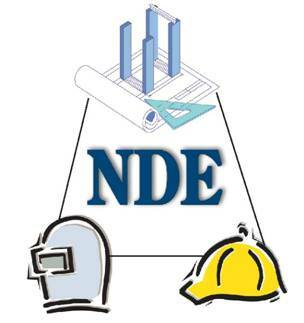 Judgment is needed to decide which weld types may be appropriate for various NDE methods if economy, as well as integrity for all interested parties, is to be achieved. Service function and weld geometry can provide some answers. Service function will involve issues such as criticality of the connection (consequences of load-carrying failure), redundancy (alternative load paths), loading type (cyclic tension, static compression), stress level (sub yield) and brittle fracture resistance (is toughness specified?). The geometry of a weld can determine the effectiveness and practicality of using some NDE methods since some weld types are more conducive to reliable flaw detection than others. Groove welds, for example, can be inspected with either UI or RI. However, partially penetrated groove welds will always provide flaw-like indications or images at the unfused weld roots. Unless proper NDE procedures are written, such “false” flaws can result in high reject rates. Fillet weld geometry creates reflective problems with UI and image problems with RI. However, the use of partial penetration groove and fillet welds is usually limited to nonfatigue, nontensile or low tensile applications, so the need for confidence in subsurface quality is not great. Since the concern is usually restricted to detecting surface flaws, MPI or LPI are the preferred NDE techniques in this case. Likewise, engineers need to specify to what extent welds of a particular type need to be inspected. Logically, welds that are subject to low stresses or are in compression or are in highly redundant structures, could have less coverage than welds subject to high tensile stresses in low redundancy structures. It is also important to con-sider the advantages of automated NDE over purely operator controlled NDE; generally, NDE operated by humans is considered less reliable than automated, computerized NDE. The use of ultrasonic energy to detect flaws is a tried and true method that does have drawbacks, the biggest being its reliability in flaw detection. Everyone has heard horror stories about UI detecting rejectable flaws, only to discover upon excavation the flaw was acceptable or nonexistent. This may undermine confidence in UI to some degree, because it is also true rejectable flaws will also go undetected. The reasons for these false alarms or missed flaws can vary from operator error to poor calibra tion to malfunctioning equipment. But, as long as we understand and accept that no NDE method is guaranteed to detect 100% of all rejectable flaws, we can appreciate the wisdom of safety factors, redundant designs and specified toughness in critical connections. These all assist in bol stering our confidence in overall performance. Various welding standards use different approaches to UI, each with its inherent limitations to accurately size flaws. UI that uses beam reflection amplitude only can undersize flaws significantly, while UI that employs beam boundary techniques are somewhat more reliable, but still not foolproof. Even more sophisticated techniques, such as time offlight diffraction, are not a guarantee of accuracy, so engineers need to be prudent when using NDE derived flaw dimensions. Radiographic inspection is, of course, an indirect, visual method of detecting and sizing flaws, but its weakness is flaw orientation. Planar flaws normal to radiation may go undetected. Naturally, planar flaws, such as incomplete fusion or penetration, are the more significant ones from a fracture mechanics standpoint; for this reason UI is preferred since its strength is detecting planar flaws normal to acoustic energy. Additionally, UI is cheaper than RI and does not involve safetyhazard issues. For these reasons RI is not generally preferred for structural work, although many contracts will specify RI in addition to UI for critical connections. A fabricator’s primary focus is to deliver a product that meets the standard of quality required in the client’s contract. If NDE is employed, it is to verify the standard has been achieved. Additionally, the client may request a third party inspector to peer over the fabricator’s shoulder during fabrication to further ensure quality . But fabricators have to be aware of their obligations vis à vis NDE. If a fabricator knows a critical structure is being bid for visual inspection only, do they remain silent at the bidding stage or anticipate that the client may get wise and require NDE later? Some fabricators may be reluctant to tell the engineer what their responsibilities are, but this should be addressed at the bid stage if potentially nasty, litigious struggles over “gross nonconformance” are to be avoided. Many welding standards will use different flaw acceptance limits for different load types, so it is imperative this information be conveyed to the fabricators (and inspectors who may work for the fabricator or the engineer). This can be done in a number of ways, but probably the most direct method is by indicating on the design drawings whether a connection is subject to shear, compres sion or tension. It must be understood that this does not refer to the load in the weld proper, but the load sense in the attaching members. This is an important distinction to make for fillet welds, which are always considered to be loaded in shear. Fabricators also need to be aware of how NDE can affect integrity. For example, using prods for MPI can cause arc strikes on base metal. While the fabricator may be diligent in removing arc strikes caused by welding, they may not show the same concern for prodinduced strikes. Both can have potentially harmful hardening effects on steel. steel backing that needs to be ultrasonically inspected will produce a large number of false indications arising from the small air gap between the unfused portion of the backing and the base metal. 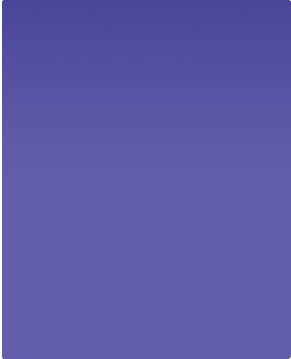 Too often, inexperienced UI operators will report these as rejectable flaws. This can be avoided if removable non fusible backing is used or a back gouged, two-sided weld is employed. Naturally, economics will play a decisive role in determining which detail will be employed, but it behooves all parties to be aware of the potential NDE problems associated with a selected detail. Other prob-lems associated with NDE include the residual magnet-ism produced by MPI, which may affect subsequent weld-ing or even the service function of the part. Appropriate de-gaussing techniques may need to be implemented. The most important aspect of fabricator responsibility lies in the area of quality control, i.e., the methods used to ensure that a given quality standard is being conformed with in practice. Quality control adds another layer to an engineer’s confidence that, even if some major flaws go undetected, the overall system has been soundly fabricated and the consequences of localized substandard quality are minimal. Naturally, this does impose on the engineer the need to verify in some fashion that a quality control system is in place and functioning. Nondestructive examination personnel have educa-tion, training and experience in the esoterica of their craft. They know the basic physics and fundamental topics associated with the various methods. They will work according to procedures established by supervisory per-sonnel to adequately examine the prescribed weldments. And it is these supervisory personnel typically the inspector or people who report to the inspector who will need to work closely with engineers and fabricators. Inspectors must insist on information regarding the tensile or compressive nature of the loads on inspected welds when the applicable acceptance standards require this. Frequently engineers fail to provide this, and the temptation of the inspector is to assume a load type rather than seek the engineer’s input; this should be avoided. to the fabricator. However, the fabricator is free to try to get the engineer to accept the flaw and should not feel hamstrung by an inspector’s opinion. The engineer should be the final arbiter of any disputes that arise. As mentioned earlier, fused steel backing can become the source of disagreement as a result of the air gap interface. The good inspector recognizes this potential and writes a procedure that does not reject these indications but instead predicts them. When included in the report, the engineer may decide to accept these indications as innocuous or insist on removal of backing, reinspection or some other alternative. Similarly, if an inspector sees that partial groove welds are to be subjected to UI, a procedure must be developed that recognizes the reflectors at the not fully penetrated weld root so that these are not grounds for automatic rejection. If an inspector reports unacceptable flaws to the fabri-cator, there are two options: a) fix it or b) get the engineer to accept the flaw. Naturally, most engineers will opt for A, but often conditions will warrant exploring B. This forces the engineer to evaluate structural integrity based on a flaw’s existence. Such fitness for purpose evaluations requires the engineer to evaluate information about flaw dimensions, location, and orientation to determine how confident he or she is of the flaw parameters reported by NDE. Can NDE, in and of itself, guarantee anything about a product? Can it make up for inadequate design? Can it even detect all aspects of poor construction? The answer to all three questions is “No.” But what NDE can do is enhance overall confidence in the product’s capacity to do its intended function; it is an integral part of a process involving design and construction quality control.